The Ontario Hockey League season is just around the corner and it’s our job to evaluate the teams for the upcoming season. As we said earlier, we won’t set ourselves up for failure by making predictions on the standings; however we will further break things down and tell you why each team will or won’t make the playoffs, their biggest concerns and the player to watch on each team this season. This will be the first of a four-part series that will focus individually on the OHL’s four divisions within two conferences. We will begin with the Central Division which is a part of the Eastern Conference. Why they make the playoffs: Last year’s Eastern Conference champions have lost a lot of depth, but they still have a lot of veteran talent around, including Chicago Blackhawks 2015 second round pick Graham Knott. For this team to make the playoffs, Knott will have to have a monster year (70 points). Draft eligible Ben Jones must also step up and provide 20 or more goals for Niagara to have enough offense to make the playoffs for a 10th straight season. DT: NIA: They went for it in '16 so now the rebuild.They’ll be small/fast & play hard! Dave Bell is the BEST little known coach in the game! Why they miss the playoffs: The IceDogs miss the playoffs because they fail to have players step up and replace the offence Josh Ho-Sang, Jordan Maletta and Brendan Perlini brought to the table. The team will miss Carolina Hurricanes’ prospect Alex Nedjelkovic in-goal, but should be fine with Stephen Dhillon as his replacement. Dhillon’s heroics may not be enough though for Niagara to make the OHL’s second season if the team cannot find a way to score goals this season. Team Concern: The IceDogs coaching staff has to be concerned about offence as the season approaches. Niagara only returns two players that had over 10 goals last season and enters the season as the team with the least amount of scoring returning from last year’s group. Player to watch: Ben Jones is the IceDogs player to watch this season. The 2015 first round pick was relegated to fourth line duty much of last season and needs to produce in his NHL draft year. Jones was good offensively in his midget days, and a good season offensively could really boost his draft ranking. Why they make the playoffs: Chicago Blackhawks prospect Roy Radke will need to have a big year in Barrie for this team to make the playoffs. Radke has looked like a man amongst boys in the preseason, but it is dangerous to extrapolate anything from the preseason as something that will carry over to the regular season. 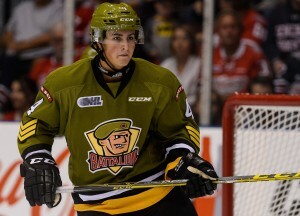 Look for Radke to hit the 30-40 goal mark if Barrie is going to be in the playoff hunt. 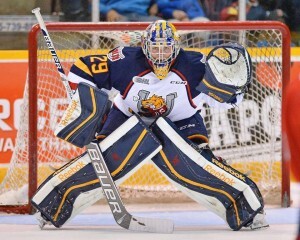 Why they miss the playoffs: Mackenzie Blackwood won’t be back with the Colts organization this season and that is a gigantic void to fill in the Barrie goal crease. The man likely tasked with replacing Blackwood will be the gigantic 6-foot-6 David Ovsjannikov, who only has 18 career wins in the league. It could be a dramatic decline in goaltending for Barrie, and the offence likely won’t be there this season to help camouflage the weaker goaltending. Team Concern: The concern with this franchise is the lack of draft picks left in the cupboard. In acquiring defected player Kirill Nizhnikov from Mississauga, Barrie essentially gave the Steelheads the cupboard – in addition to any picks that were actually left inside of it. Mackenzie Blackwood not returning also hurts their future, as they could have parlayed the New Jersey Devils’ prospect into multiple second and third round picks. Player to watch: Kirill Nizhnikov will be one to watch this season in Barrie. While there was some doubt the 16-year-old forward would sign, he has agreed to terms with Barrie. Nizhnikov, taken seventh overall in the 2016 OHL Priority Selection draft and oozes offense and is already one of Barrie’s most dynamic forwards. He’ll be a big part of the offence for this franchise in the coming years, so it’ll be interesting to see how the rookie right winger does, given the ability to earn top-six minutes this season. Nizhnikov would be a big acquisition for Colts if they can get him to sign. Talented forward was 7th overall pick of Mississauga this year. Why they make the playoffs: Stan Butler’s teams always seem to be in the middle-of-the-pack each season, so it is hard to view this team as one that doesn’t make the playoffs. The troop will miss Captain Mike Amadio but should have enough offence with Brett Mackenzie, Daniil Vertiy and Zach Poirier all poised to build on their success last season. Cam Dineen returns on the blue line to quarterback the power play this season; looking to build on his 59 points as a rookie last season. Why they miss the playoffs: This is a team that isn’t likely to miss the playoffs given the roster they have coming into the season. Goal scoring could be a concern in the early going, but there is enough talent to provide enough goal scoring in Butler’s strong defensive system. The only reason this team could miss the playoffs is if Butler decides to trade veteran defensemen Riley Bruce and Mark Shoemaker to build for the future. Team Concern: Goaltending depth has to be a concern for the Battalion this season. Both of last year’s goaltenders have moved on, and Butler will go with overage goaltender Brent Moran and rookie Mat Woroniuk this season. Moran struggled last year with both Niagara and Flint, but could really blossom under the defense-first approach employed by Butler. If Moran falters, it’s hard to know what the team has in 17-year-old Woroniuk and that could become a problem. Player to watch: Daniil Vertiy really came on for the Battalion after landing in North Bay following a trade last season. Vertiy posted 24 of his 26 points in 38 games with the Battalion and is poised to take a big step forward with added ice time this season. Vertiy is also a late birthday and is eligible for the 2017 NHL Entry Draft so a big season could see Vertiy move from a projected mid-second round pick into the early part of the second round. DT: NB:Stan’s team will be similar to years past. Defensively sound & gives up little but doesn’t take chances. Moran could have a big year! Why they make the playoffs: This year’s edition of the Wolves looks good offensively. 2015 first overall Priority Selection pick David Levin looks to break out in his second year in the league. While Levin isn’t eligible for the NHL draft until 2018, he needs to play a full season in the OHL after missing one-third of his rookie season due to injury. Dmitry Sokolov also looks to make a bigger impact on the OHL this season after arriving in the league somewhat out of shape. Although Sokolov scored 30 goals last season, he could provide a much bigger impact with a better start to the season. Why they miss the playoffs: It’s Sudbury and a black cloud has seemingly followed the Wolves on the ice the past two seasons. While I think things are finally starting to take a turn for the better this season, they are still a relatively young team made up of 1999 and 2000 birth year players. Despite being a veteran group on the defensive side of the puck, Arizona Coyotes 2015 third round pick Kyle Copobianco will need to be better in his own end this season. Despite adding 40 points or more in each of the past two seasons, Copobianco was also -43 and -49 respectively over that same period. The Wolves will need a much better performance from Copobianco to get back into the playoffs this season. Team Concern: Goaltending could be a concern in the Nickel City this season, as the team has Zack Bowman returning, along with rookie Jake McGrath. The team traded starting goaltender Troy Timpano to Erie earlier this month, leaving Bowman and McGrath to mind the net. Bowman is an experienced goaltender in the league, but only boasts a relatively pedestrian .883 save percentage in 68 career games. While the team is high on McGrath, it’s hard to fully understand how he will perform over a full season. McGrath participated in two games last season and stopped 78 of 82 shots fired at his goal. Should this team get good goaltending, the playoffs are definitely within their grasp for the first time in three seasons. Player to watch: David Levin is by far the player to watch this season in Sudbury, with 2016 second overall Priority Draft selection Owen Lalonde a close second. Levin showed flashes of brilliance in his rookie season and looks to take the next step in his development this year with a much better cast of players surrounding him. Lalonde is a rookie defenseman that has looked really good in the preseason, scoring four points in four games played. While I doubt that success carries over to the season, it certainly is a sign of good things to come for the fans of the Sudbury Wolves. Why they make the playoffs: Simply put, this is the best team in the OHL’s Eastern Conference. While they are going to miss Alexander Nylander’s offence this season, they will be more than fine with what remains. Brothers Michael and Ryan McLeod should center the team’s top two lines, with wingers Nathan Bastian, Marcus Dickerson, Damien Bourne and Owen Tippett rounding out the top six group. Now the last time Mississauga traded a defected player (Nick Ebert, 2010), they made it to the OHL and Memorial Cup finals. Why they miss the playoffs: It would require some of the worst luck injury-wise in hockey history for this Steelheads team to miss the playoffs. It won’t happen. They are the class of the Eastern Conference and will receive much better seasons from second-year forwards Ryan McLeod and Owen Tippett. It’s just not possible given the Eastern Conference this year. Also, given the assets that were acquired in the Nizhnikov defection, Mississauga can acquire assets to address any shortcomings in this must-win season. 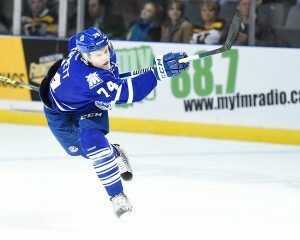 Team Concern: The only concern in Mississauga is how much more can Ryan McLeod and Owen Tippett produce this season. Both players are coming off 20 point rookie seasons but illustrated so many signs of good things to come throughout their rookie season. If both players take steps forward and become 50 point players, Mississauga should run away with the East. If they don’t take that next step, Mississauga will still be a top team; the gap just won’t be as big from first to second place. Player to watch: While everyone is anxious to watch Ryan McLeod and Owen Tippett (who wouldn’t be? ), defenseman Nicolas Hague will be on the radar of the scouting community. The 6-foot-5 Hague could be the first OHL defenseman picked in the 2017 NHL Draft should his game continue to develop. Hague scored 14 goals and added 10 assists in his first OHL season, and left scouts drooling over what may come in the future. 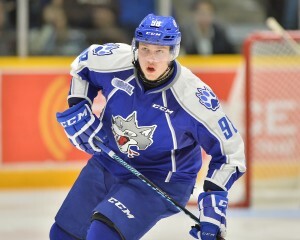 Blessed with great size and an ability to run a power play, the best is yet to come for Hague in the OHL. He’ll team with Detroit Red Wings prospect Vili Saarjarvi to form a deadly combination on the point this season for Mississauga’s power play. That is all for part one of our four-part series previewing the Ontario Hockey League season. Up next, we’ll continue in the OHL’s Eastern Conference and preview the East Division.